The Indianapolis Cultural Trail: A Legacy of Gene & Marilyn Glick is an 8-mile world class urban bike and pedestrian path in downtown Indianapolis, Indiana. The Indianapolis Cultural Trail seamlessly connects neighborhoods, cultural districts and entertainment amenities while serving as the downtown hub for central Indiana’s vast greenway system. The Indianapolis Cultural Trail is managed by a nonprofit, Indianapolis Cultural Trail, Inc. (ICT, Inc.). ICT, Inc. works to thoughtfully manage, maintain and continue to grow and improve all aspect of the Trail ensuring it continues to exist as a world-class public space for residents and visitors of Indianapolis. The Cultural Trail was built using funds from large public and private collaboration with partnerships from Central Indiana Community Foundation, the City of Indianapolis and several not-for-profit organizations devoted to building a better city. To enrich lives and connect people and places through dynamic and beautiful experiences and use the Indianapolis Cultural Trail and Pacers Bikeshare program as a catalyst for economic growth. 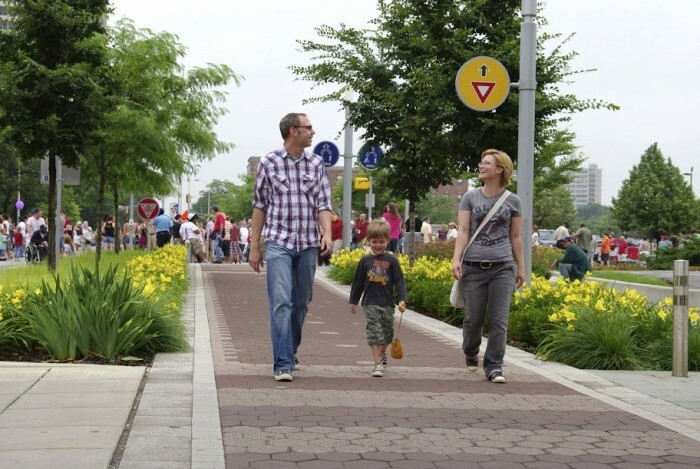 Indianapolis Cultural Trail, Inc. is the world class leader in urban trails and linear parks and is committed to a sustainable funding model that ensures accessible connections for future generations on the Indianapolis Cultural Trail: A Legacy of Gene and Marilyn Glick.